The homesteading lifestyle often gives us the desire to live more sustainably and know where our food comes from. This often translates to owning animals. These animals take up space and increase the feed bill, but that doesn’t have to be the case! Whether you’re on a small suburban lot or an expansive piece of rural property, you can naturally raise your livestock on pasture! Here are the exact reasons to raise pastured livestock and how to do it. From fencing to breeds and how to properly rotate your animals, you can gain the confidence to pasture raise your own livestock on any size lot. Do you want to raise your animals in a more natural way? Save money on the feed bill? But you don’t know where to start? Maybe you have the fencing, but you don’t know how to rotate your animals. Or maybe you feel like you’re limited to buying feed because you think your lot is just too small. A few years ago, I was where you are now. 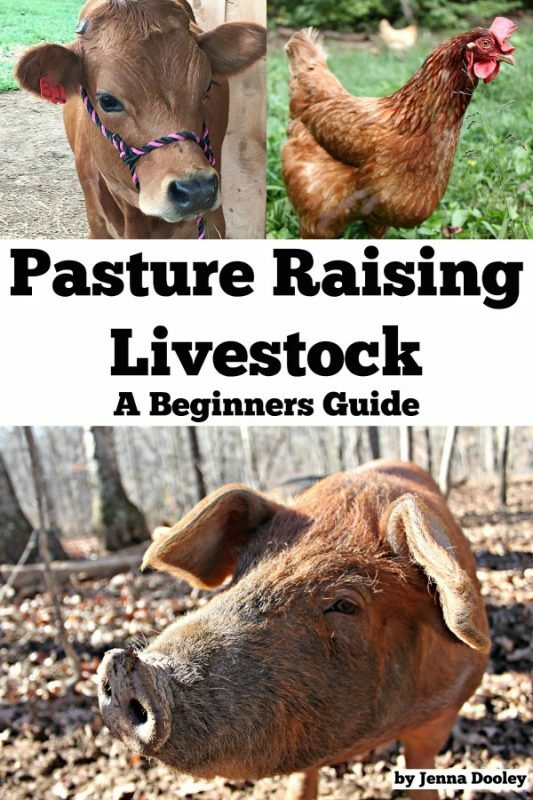 We knew we wanted to raise our livestock naturally on pasture, but didn’t know where to start. It all seemed so overwhelming. I knew that raising them conventionally wasn’t the best way, but I didn’t know why or how to change it! After some research, trial and error. We decided that we were going to pasture raise our livestock. I’ve taken the guess work out of doing it so you can get right to building fences and getting animals! Pasture raised livestock is simply better for you, better for the environment and better for your animals. Stop guessing and wondering why you should with my help.